their comedy defined an era. Chong established City Works, a wild improvisational troupe later joined by Richard "Cheech" Marin. 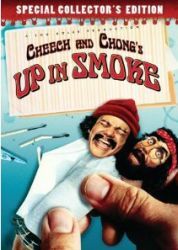 When City Works dissolved, Cheech & Chong continued as a duo, formulating a musical comedy act. the druggy stasis of the doper mentality. Cheech & Chong debuted in 1971 with an eponymous LP featuring studio sketches like "Waiting for Dave"
(a record packaged in a giant rolling paper), reached the number two spot on the Billboard charts. The following year's Grammy-winning Los Cochinos duplicated the feat, and included the novelty hit "Basketball Jones." 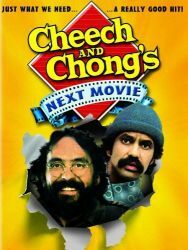 1980's Cheech & Chong's Next Movie, 1981's Nice Dreams, and 1983's Still Smokin. ended, and in 1985 they returned to the recording studio for their swan song LP, Get Out of My Room. by 1993, Marin even recorded a children's album, My Name Is Cheech, the School Bus Driver. marking the duo's first public reunion in a number of years. This biography was provided by the artist or their representative. 2-15 Born In East L.A.
Cheech & Chong - Get Out Of My Room - 01 - Born In East L.A.
Cheech & Chong Greatest Hits 08 Dave cont.